Comment: Ships in original case with original artwork. Disk surfaces are like new. All used discs are inspected and guaranteed. Used discs may not include digital copies. Fast Amazon shipping, delivery tracking number, no hassle return policy - your satisfaction is guaranteed! 55-minute portrait, "Who the Dickens is Mrs. Gaskell?" 3.0 out of 5 starsGreat series, poor quality DVDs. I normally would give this 5 starts because it's one of my favorite movies/tv series. However, the quality of this dvd set is VERY poor. Also, the aspect ratio is 14:9. (Not widescreen, not full screen.) So no matter how you adjust the settings on your tv, it always looks squashed and stretched. When I watched this on Netflix, it was in widescreen and the quality was excellent. I guess they just didn't keep the same quality when they put it on dvd. I returned mine the very next day. By the way, I've searched and searched on the internet and can't find this anywhere in the widescreen format. 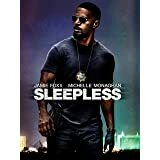 Heads up for anyone that finds the widescreen version at Best Buy: Another user's review stated that when they watched it they realized it was not widescreen but in fact full screen. 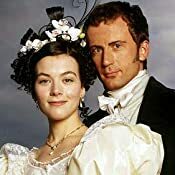 A very enjoyable story, “Wives and Daughters” reminds me a great deal of the BBC production of “Pride and Prejudice,” a personal favorite. The story is filled with quirky, overly class conscious characters who find themselves in various uncomfortable positions. The actors and actresses absolutely nail their roles. I genuinely liked the characters and sympathized with them as their stories unfold. The DVD’s themselves are high quality and convenient to use, since my internet service is highly unreliable. I have watched this set over and over and would definitely recommend it. This was okay. I got into the characters enough, but didn't particularly like any of them except Molly. It's another one of those movies that makes you wonder why people sacrifice themselves so embarrassingly for the sake of marriage. I'm pro marriage, but only for love. 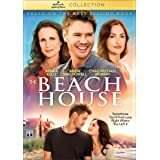 When our beloved heroine accepts the marriage proposal with out a second's thought, even though she was embarrassingly second fiddle throughout the entire movie to her supposedly beautiful step-sister (not so much in my opinion), all I could say was, "Have you no self-worth? Are you that desperate?" People in this story seem to meet each other and in one or two meetings are ready for marriage. Implausible. I knew from the first scenes involving the stepsister that she would win the "boy" for a time but in the end Molly would marry him. Yes, it's that predictable. Still it's a period piece, and I got through it alright without regret, but it'll go to the back of the shelf now. I may watch it again because I like Molly, but that's the only reason. I enjoy shows like Breaking Bad and Hell on Wheels, etc, but it's such a wonderfully relaxed pleasure watching Wives and Daughters and never having to look away because of violence or gore. 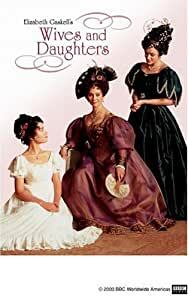 Based on Elizabeth Gaskell's novel of the same name, Wives and Daughters is a gorgeous costume drama of love and class that becomes more rich, suspenseful and layered with each episode. The story is centered around Molly Gibson, the lively, unaffected daughter of the town doctor, who's a widower. Their lives are turned topsy turvy when the father marries a Mrs. Bennett like widow with a daughter of her own who's just about Molly's age but as flighty as Molly is reliable. Even though the girls are a study in contrasts they love each other, and when they fall for the same man they both, in their own way, try to do the right thing--the plot is too layered to make the stepsister a villain. Mrs. Gaskell was unable to finish the novel before her death, but the miniseries conclusion is satisfyingly sigh inducing. 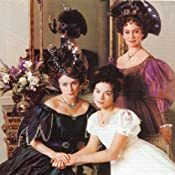 Wives and Daughters is the third series based on novels by Mrs. Gaskell that I've adored, so I love that this set includes a 55 minute "short" about her. If you're looking to move beyond Jane Austen in your viewing and reading pleasure, try Elizabeth Gaskell. This is a great story, which could just as easily be called "Fathers and Sons." The settings and costuming are superb. You don't get much better than Francesca Annis and Justine Waddell. There is plenty about class conflict, the proud taking a fall, and the humble being exalted. You could see it as exploring the questions: Who is really a lady? Who is really a gentleman? But it's not a great social novel in the sense of some of Gaskell's other works (such as North and South)/ It's more about individual people and their relationships with family and friends. Highly recommended.